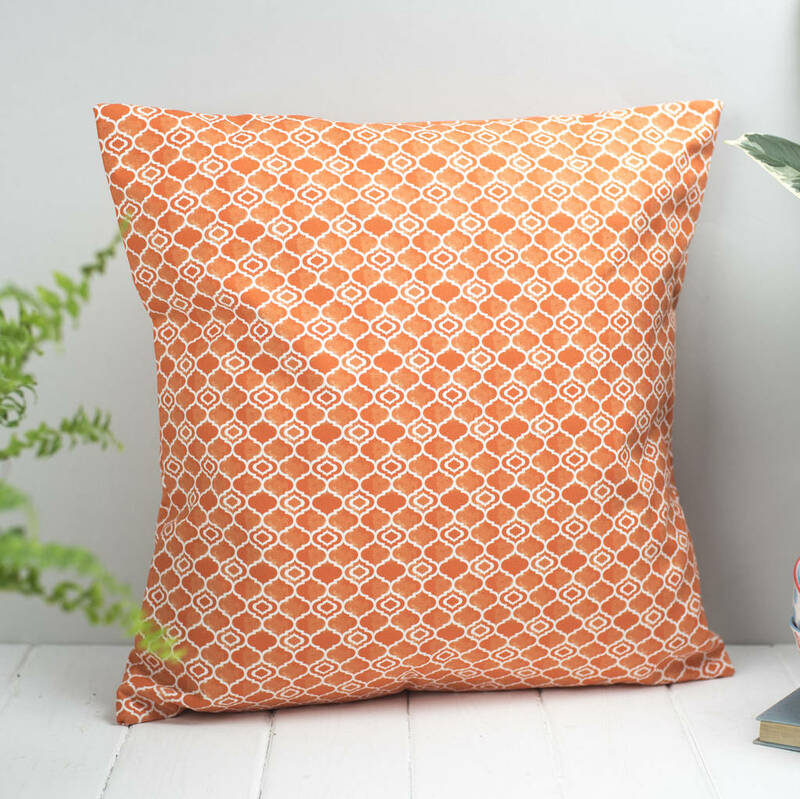 A birght and vibrant orange colour features on this geometric pattern cushion. Feather inner supplied, the Alta design gives a mediterranean feel to your home. 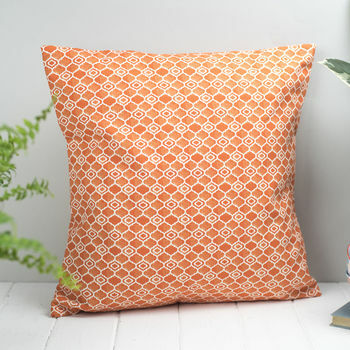 Our Alta fabric has a strong orange colour that is based on watercolour brush strokes to give it real depth. A Moorish style geometric design helps to give a warming look for your home. 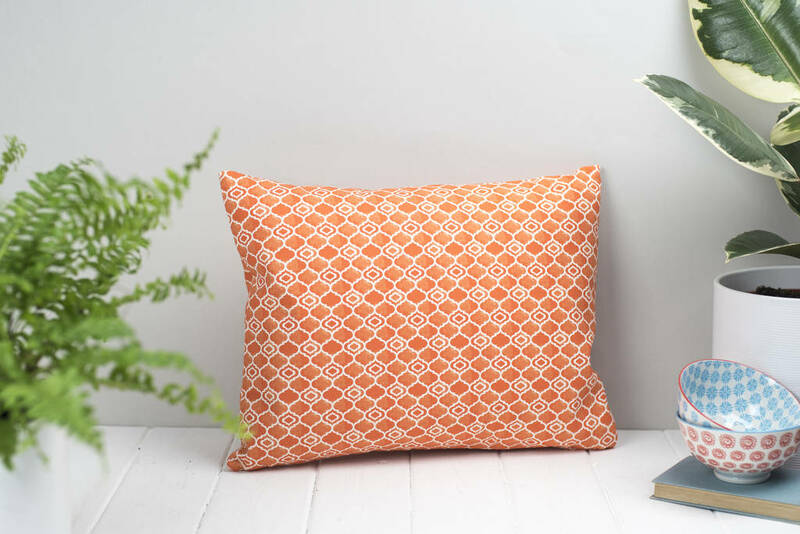 The fabric is part of our 'Cadiz' collection that has four more patterns - Safiya, Paloma, Isabel and Marisol. These use a palette of indigo blue and vibrant orange. Available in two shapes, a large square and a rectangle shape. Outer 100% cotton, high quality feather inner supplied. Pattern placement may vary from image shown. Envelope back.